I have always felt as a writer that where novels are set is vitally important. The setting does so much to convey the atmosphere – the flavour – of the story. With The Devil in the Corner I might have set it in London but it wouldn't have worked. I needed Maud, the Victorian girl from London who is my main character, to feel threatened and vulnerable. I knew she had to go to the country, to an unfamiliar landscape that would reflect the mood of the novel, both the claustrophobia of village life then and the feeling of being utterly alone when you ventured beyond it. I also wanted to impart a sense of the supernatural, of strange things happening that were beyond the characters' control. So I set The Devil in the Corner in Suffolk, near the coast, in an area similar to where I live now. I have been coming here since I was a young teenager, for something always draws me back. To me it has always seemed a county of mystery and magical possibilities. On a clear day it is beautiful. The sun glitters on the sea, the waves lull you, the reeds gently whisper; inland, church towers look down benignly on pink-painted cottages. But on a cloudy day, with dark clouds building overhead and a rising wind, you'd better pull up your collar and run! You crunch along the shingle beach, looking in vain for shelter in all that vast landscape. Then it is the most forbidding place on earth and you are the smallest creature under those great lowering skies. There is no escape. East Anglia with its huge skyscapes and vast open spaces has influenced many writers from M.R. James, the great ghost story writer, to P.D. James. When I wrote The Devil in the Corner and Maud is haunted by Sly, the strange, gibbering, doomed youth, I thought of M.R. James, for in many of his stories his protagonists are pursued by undefined malevolent figures through deserted landscapes. It is terrifying for Maud to see this deformed creature, Sly, loping after her in the dusk on a endless shingle beach. Nowadays we would feel compassion for Sly and recognise his epilepsy, his 'tongue-tied' cleft palette. But then a church-going Victorian like Maud would see him as an outcast, a monstrous aberration, unloved by God and without a place in the Universe. (God had put the rest of Victorian mankind comfortably in charge of it, of course - as long as they had their wits.) Sly becomes to Maud a sort of manifestation of her guilty conscience and she is not at ease, even when he is dead. There have been times when, like Maud, I have walked on the duckboards through the reeds and thought I heard someone following me. When I've looked round, there's been no one, just an endless rustling as the wind blows through their papery stems. It's not surprising that this is a countryside of legends. 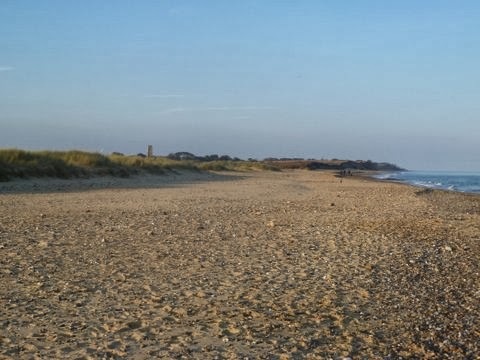 Even where we live, within an area of three miles we have the hell-hound of Blythburgh, the ghostly horse-drawn hearse of the Westleton Road, the drowned man of the Smugglers' Way – not that I've seen any of them! It's partly that Suffolk still seems untouched by the present. It's difficult to get at: the A12 is slow and the trains unpredictable. 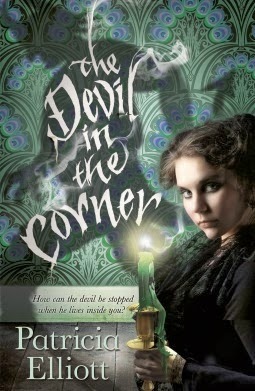 To imagine a village in Victorian times, as I did for The Devil in the Corner, wasn't very difficult. I think they probably looked like that even up to the nineteen thirties – apart from the sewer in the middle of the street! This has always been an arable land and its people are still mostly farmers whose families have farmed here for generations, their names unchanging down the centuries. I wanted to impart a sort of Suffolk 'feel' to the book without making it too obvious, so my characters have names from gravestones and old books, a lane I drive past (Tiggins), a nearby hall (Potton) and some of the towns and villages locally, like Wissett and Brundish. The isolated house where Maud goes to live with Juliana, which I call Windward House, is very like one I stumbled upon by accident one day, walking the dog. It reared up behind a high wooden fence, dilapidated, but with the most amazing view of the surrounding countryside. You could see the sea in the distance. I had to balance precariously on a fallen tree trunk to get a proper look and there it was – crenelated gables, endless chimneys, tall blank windows, very Victorian and rather forbidding altogether. I had found somewhere for Maud to live! And so it all comes together: character, plot, setting. You cannot always say afterwards in what order they came to you or if one is more important than the other. But I do know that in this particular novel the setting is very close to my heart.